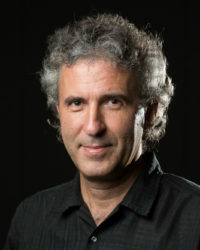 Dr. Mitja Velikonja is a professor for cultural studies and head of the Center for Cultural and Religious Studies at the University of Ljubljana, Slovenia. Main areas of his research include central-European and Balkan political ideologies, subcultures and graffiti culture, collective memory, and post-socialist nostalgia. His last monograph in English is Rock’n’Retro – New Yugoslavism in Contemporary Slovenian Music (Ljubljana, 2013). He is the co-author of a book in Serbian (Celestial Yugoslavia: Interaction of Political Mythologies and Popular Culture (Belgrade, 2012)) and co-author as well as co-editor of the book Post-Yugoslavia – New Cultural and Political Perspectives (Palgrave, 2014). For his achievements, he received four national and one international award. He was a full-time visiting professor at the Jagiellonian University in Krakow (2002 and 2003), at Columbia University in New York (2009 and 2014), at the University of Rijeka (2015), and at the New York Institute in St. Petersburg (2015 and 2016). Additionally, he was a Fulbright visiting researcher at the Rosemont College in Philadelphia (2004/2005), and a research fellow at The Netherlands Institute of Advanced Studies in Wassenaar (2012). More information and a list of his publications can be found here.